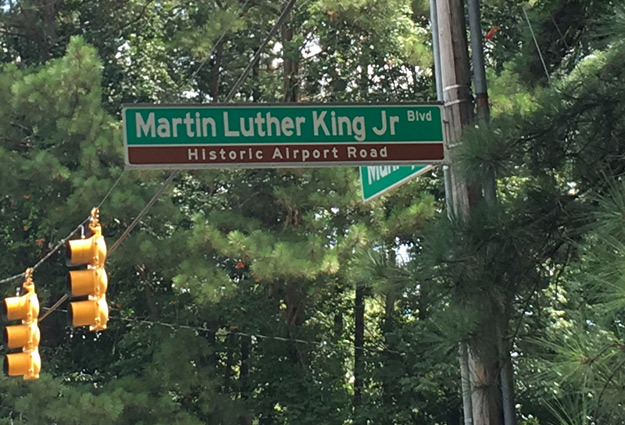 The Chapel Hill Police Department has announced that it will be taking additional steps to promote pedestrian and traveler safety on Martin Luther King Jr. Boulevard. This comes just days after 58-year old James Thomas Keeter was hit and killed by a car on Martin Luther King Jr. Boulevard, the second pedestrian death of 2018 on the road. Community Safety Communications Specialist Ran Northam says that along with increased police presence on the road, the Chapel Hill Police Department and Orange County Partnership to End Homelessness are teaming up to distribute reflective vests to citizens experiencing homelessness. “We want to reach out to those people [experiencing homelessness] and really make sure that we get in touch with them, try to reach them as best as we can and encourage that safety,” said Northam. The Watch For Me N.C. travel-safety initiative scheduled for Tuesday, February 27, will be moved from South Columbia Street to Martin Luther King Jr. Boulevard as well. “That will involve officers getting out with drivers, with people who are walking, with people who are riding their bikes, to share the safety messages and to witness and see things that are taking place and to talk with those people and encourage them to use safe travel behaviors,” said Northam. More information on pedestrian safety is available at watchformenc.org.